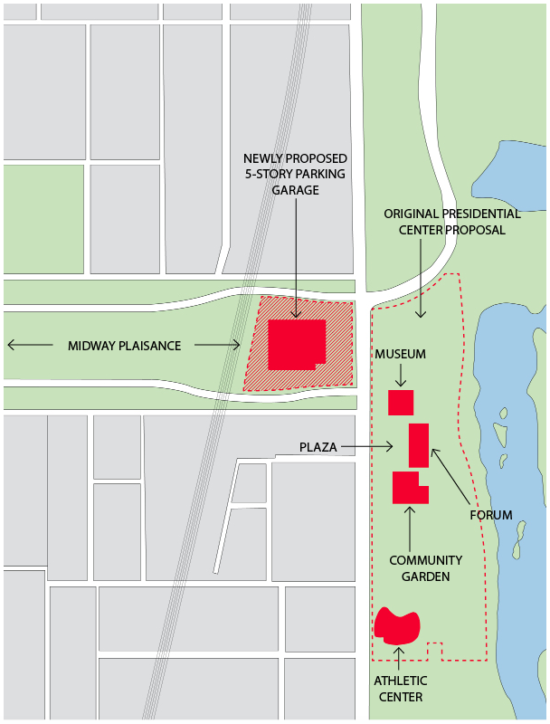 But what the Center hasn’t made as clear is that the complex’s footprint is growing, with its leaders recently proposing an aboveground parking garage that could take up about five acres of the Midway. The library’s concession for eating into this space is a green roof, which opponents claim should not be considered green space at all. Original plans for the center, released in May, did not include any building on the Midway. The land is owned by the city’s Department of Transportation, and the move would need to be approved by the Chicago City Council. 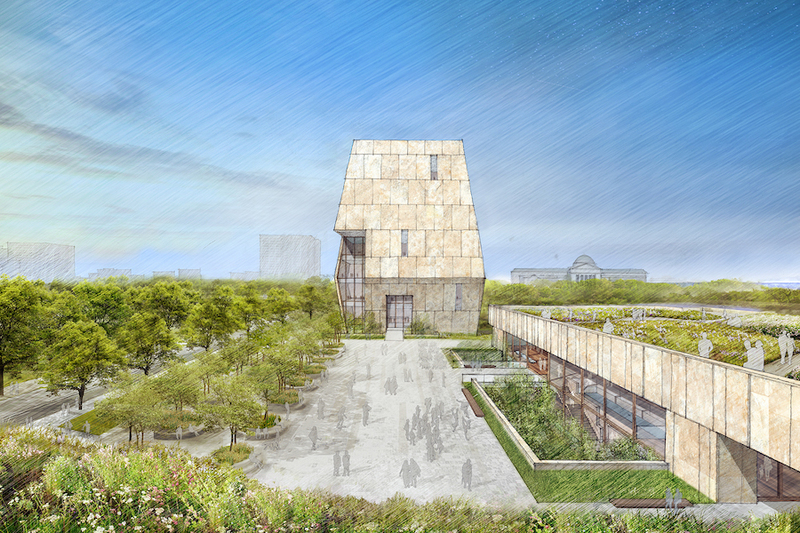 When completed, the Obama Center—whose footprint currently measures roughly 20 acres—will consist of a tall, stone-clad, geometric presidential museum, a green-roofed library, and a forum for events, all clustered around a broad plaza. The greenery is meant to blend with the existing park, but will not, say critics, make up for the amount of space it is taking from the famed parks. The Chicago Park District has called three meetings for citizens to weigh in on the planned changes, particularly to Jackson Park and the Midway.